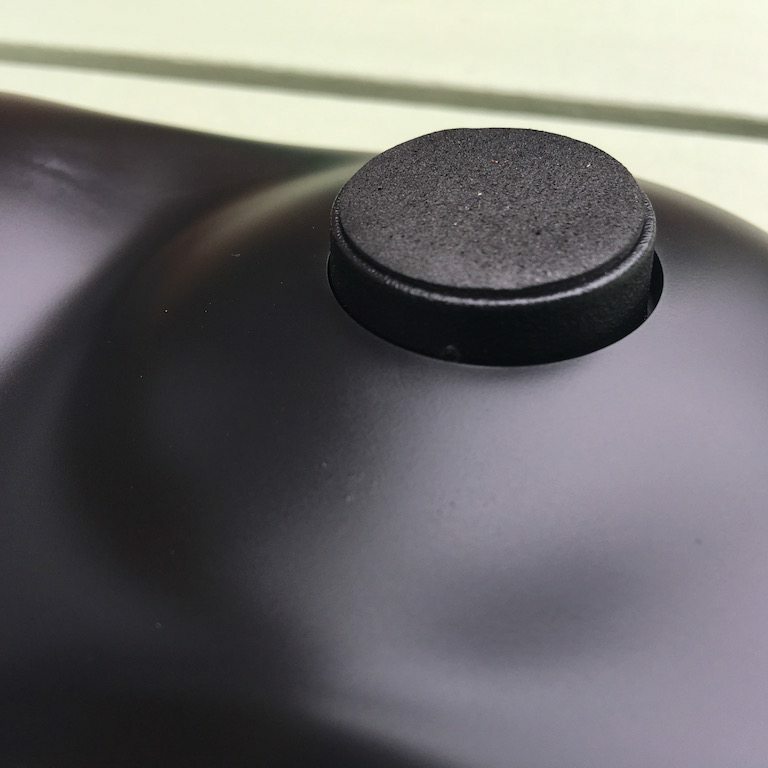 Fitbit is synonymous with activity trackers, as GoPro is to action cameras. 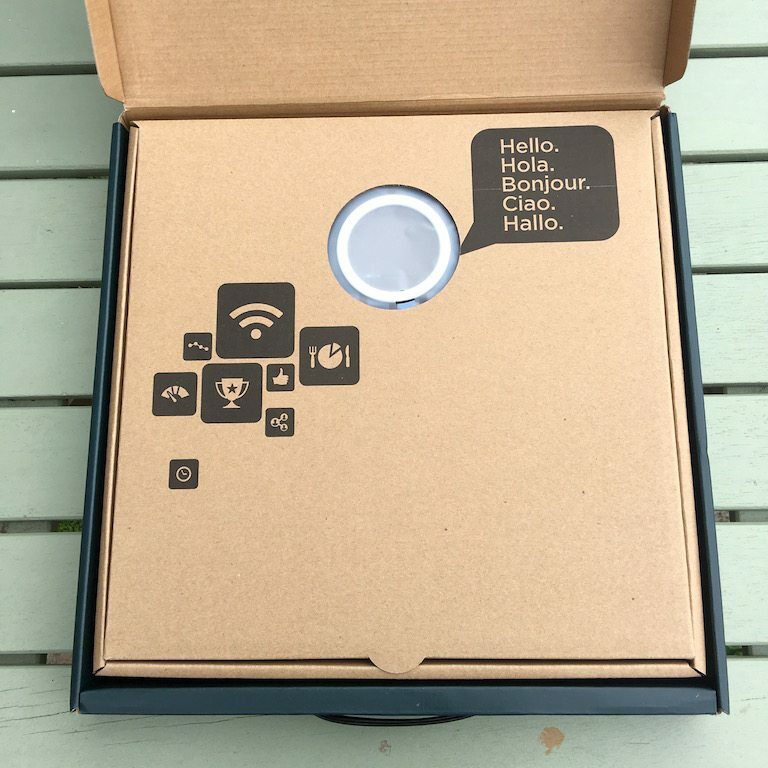 An important part of today’s tech world is creating connected ecosystems of devices. 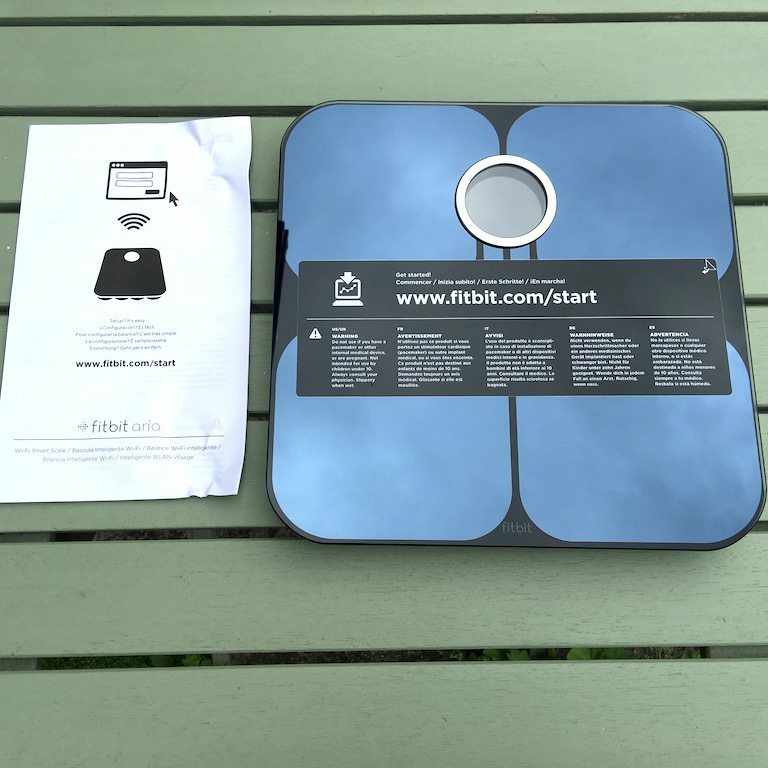 To see if all those steps are paying off, Fitbit has it’s own connected Wifi scales, the Fitbit Aria. So does it stand up on its own, or is it just another ecosystem component? During my day to day work as a GP, I do discuss with many patients about weight loss. An important part of that is monitoring. 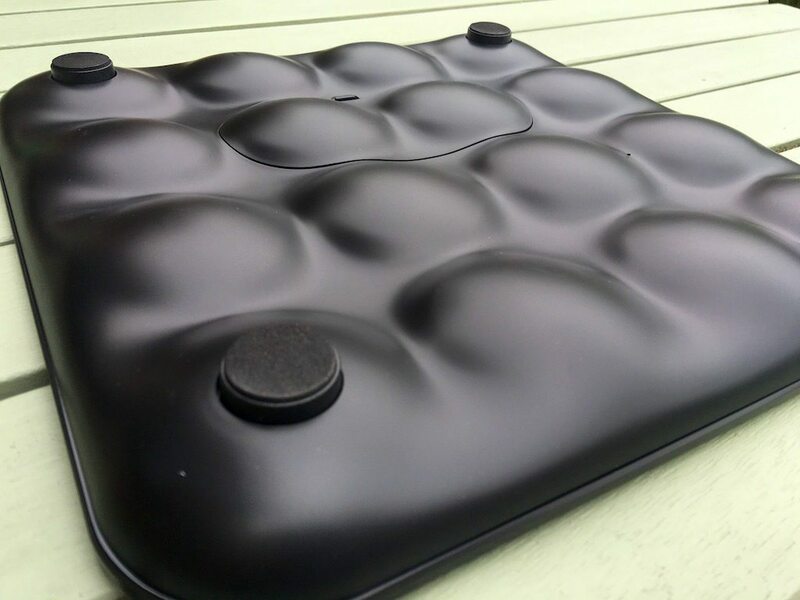 I don’t like suggesting to my patients to buy particular things, as a result TitaniumGeek has a growing series of scales reviews I can direct people to, to allow them to make their own, hopefully, informed decisions. 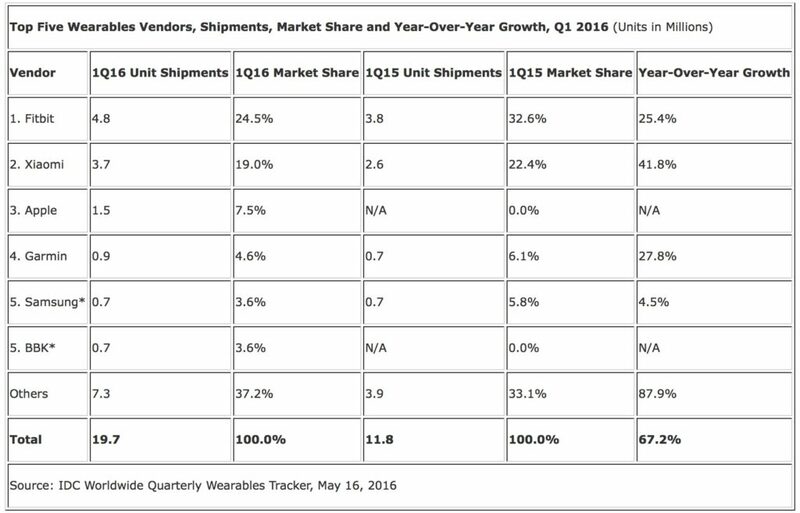 Fitbit currently holds an impressive 24.5% of the wearables market as of Q1 2016, so it makes sense that the next scales to get a review is the Fitbit Aria. 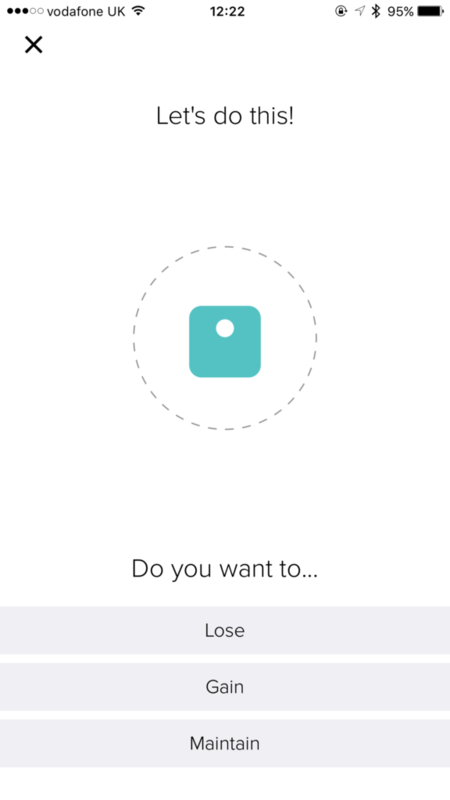 Fitbit has opted for the practically industry standard white or blue. 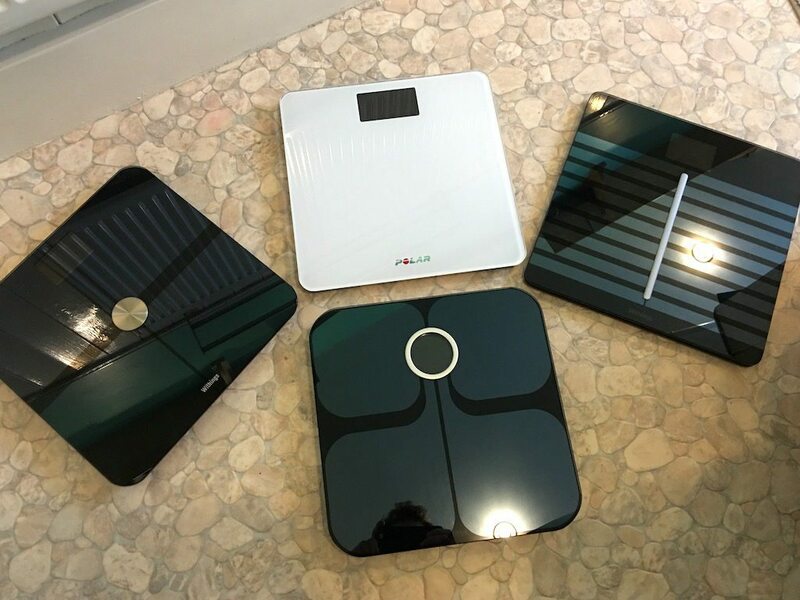 It fits right into the middle of the connected scales market, measuring the core metrics of weight, and fat mass, whilst then going on to calculate BMI and lean vs fat measurements. 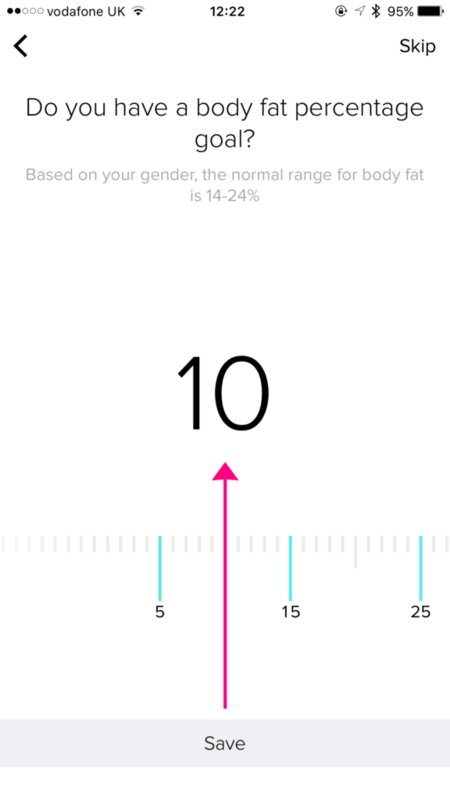 The Withings Body Cardio and Garmin Index can both measure a larger number of metrics, but they also come with higher price tags. The underside of the scales is really an interesting shape, very undulating. It looks quite like a plastic version of an Aero Chocolate bar! 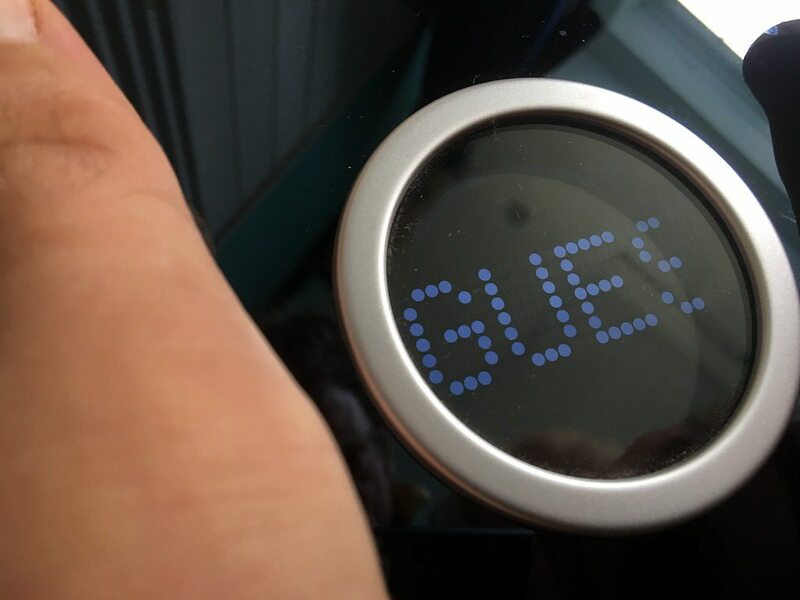 Which frankly I think is just mockingly unfair when your scales make you think of food! 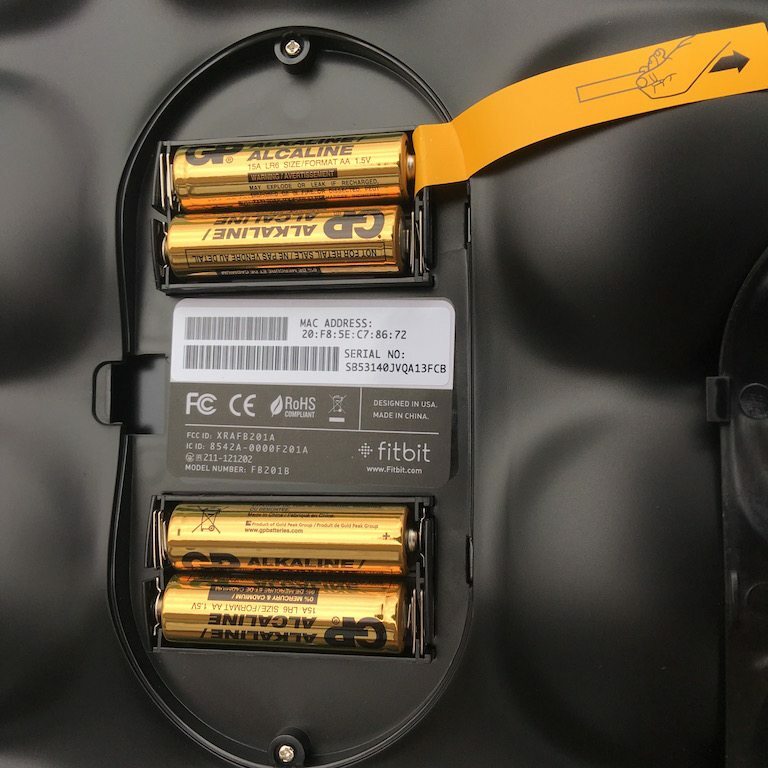 The battery cover removed to find the four AA batteries, and the tab to stop the batteries discharging during transit. 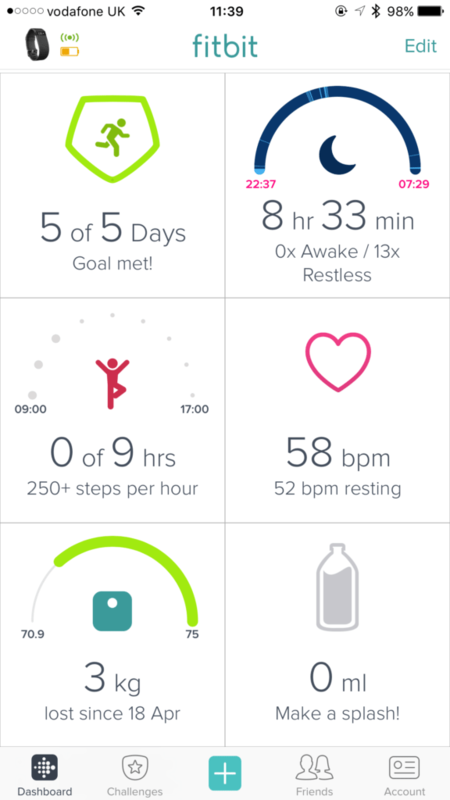 The Fitbit Aria scales design is very so slightly more engaging than the other scales available. 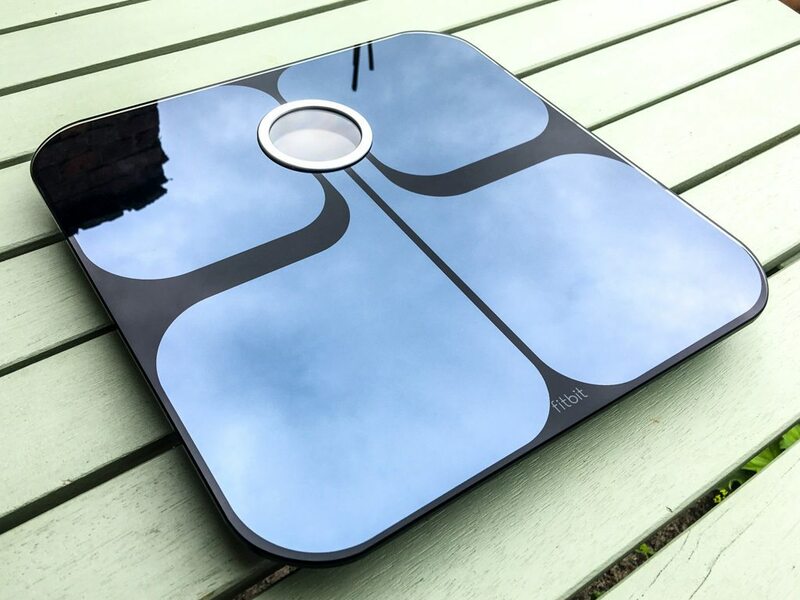 Whilst they appear very utilitarian, the slight butterfly desk appearance on the Fitbit Aria scales does make it appear more approachable. 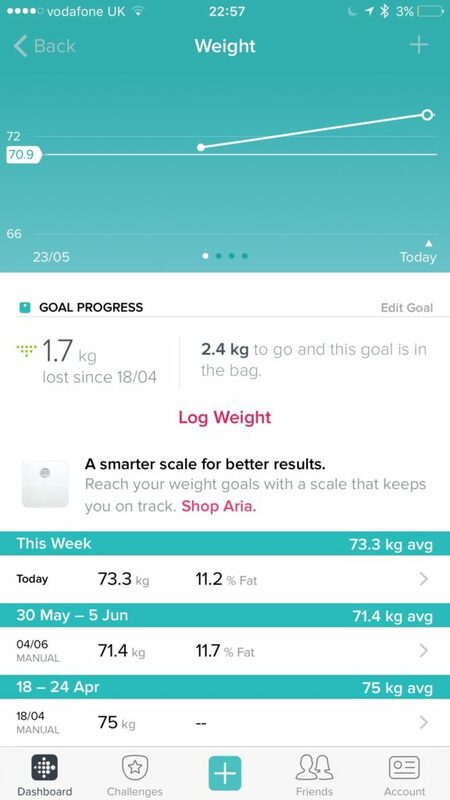 This carries on very much when using the Fitbit Aria scales with comments on the screen such as “Analysing”, telling you what is going on. 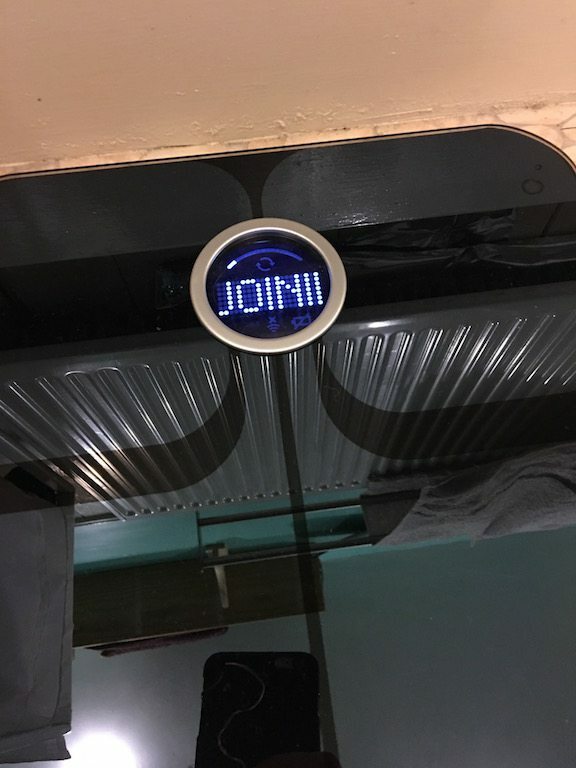 When the initial connection is complete, you’ll put in your goals to the device. 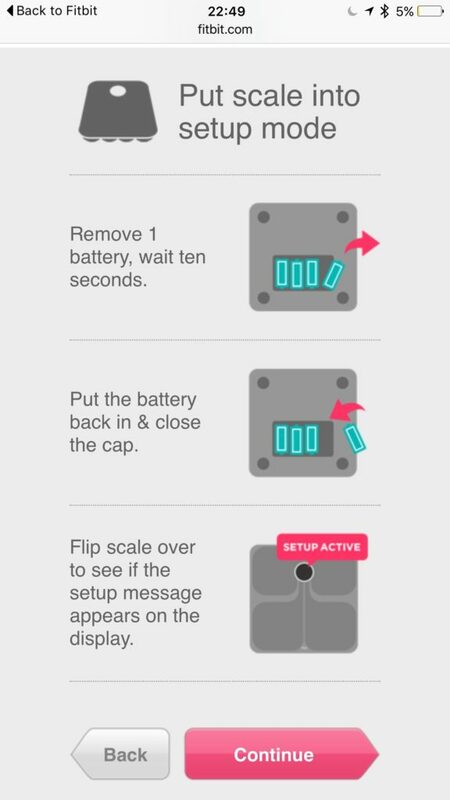 The FitBit squares very nicely with the other scales which dot around the bathroom here. They should do really, we can measure mass quite easily now. The fat mass also measures very favourably with the Withings scales, both measuring fat mass as 13.1% today. 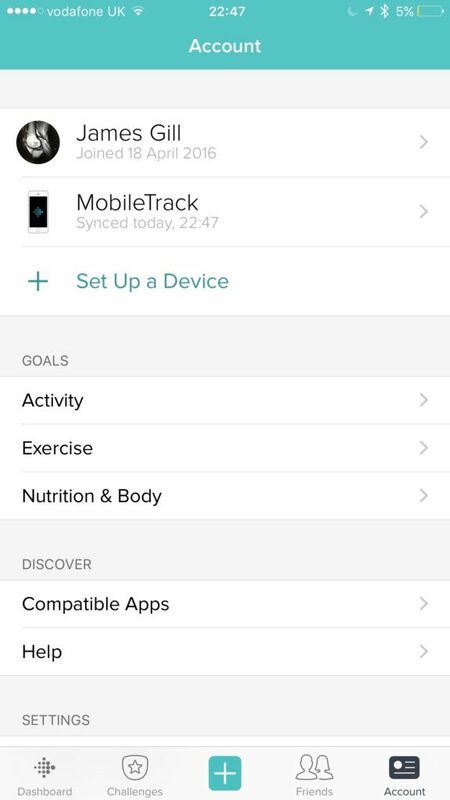 However sometimes there is more of a difference, so 11.6% from Fitbit, vs 12.3% from Withings. The important thing to remember is the TREND. Whichever scales you are using, as long as it measures reliability. i.e. 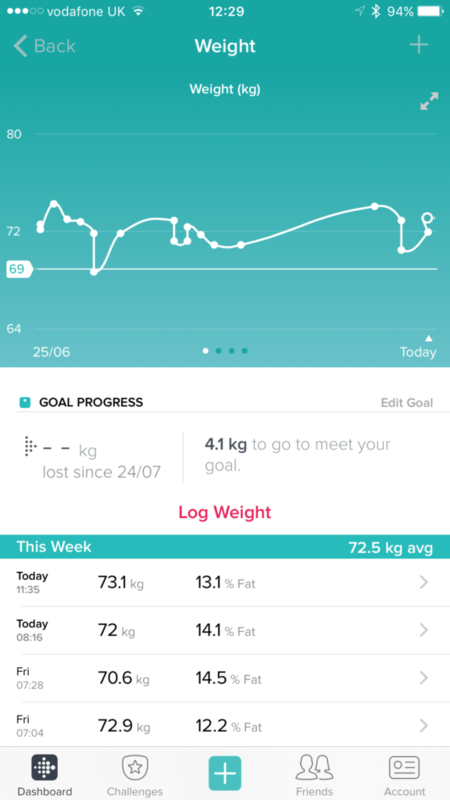 gives you the same data when you stand on the scales 2-3 times within a minute or two, then the trend line is the point to follow, not so much the actual fat mass data. 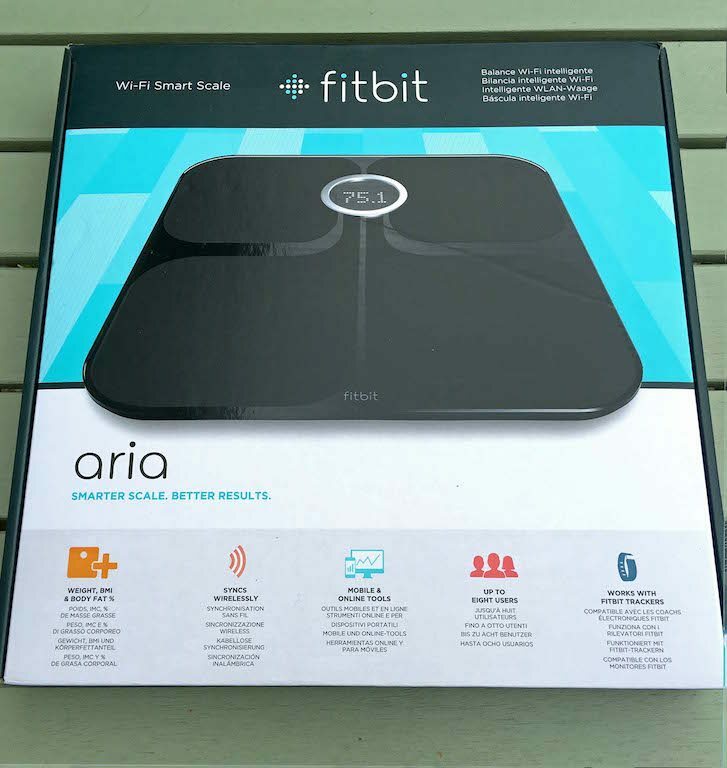 The Fitbit Aria scales are a well built, and reliable device. It may not have the latest features of the Withing Body Cardio, but it is important to ask will you use them? 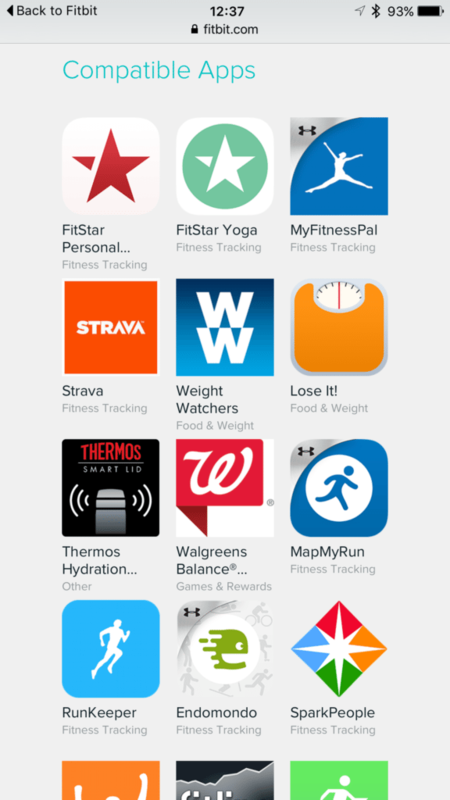 Heck fo the difference in price, you are going a long way towards buying an additional fitness tracker too! 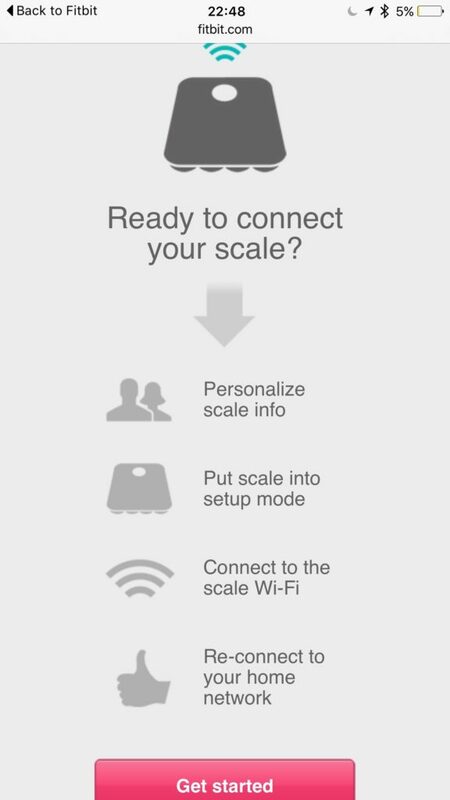 For scales, they are a good way for companies to embed people further in an ecosystem, for good or ill. But you should look to what suits your own ecosystem. 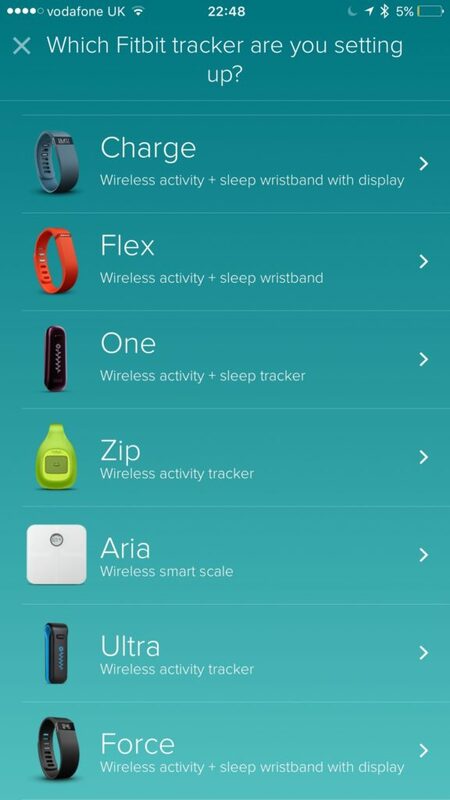 Personally, I think the broad API and the wide range of compatible apps make the Fitbit Aria a good bet for many people. People who are merely looking to manage their weight and improve their fitness, rather than specifically sports nuts, or data freaks like myself you want as much information as possible.